Highly trusted Language Testing Assessment Services by 1000+ certified language trainers, who deliver exceptional Language testing in 200+ language pairs. Our team is not just multilingual, but also conducts language proficiency assessments for multiple industries in the business world. 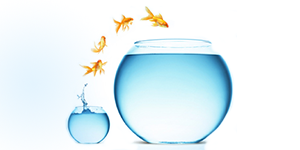 These days, every organization feels the need to work with a diverse workforce. Thus, conducting language evaluation tests become very important, as it involves measuring and reporting the language performance (of employees and candidates) for varied multilingual or bilingual positions. 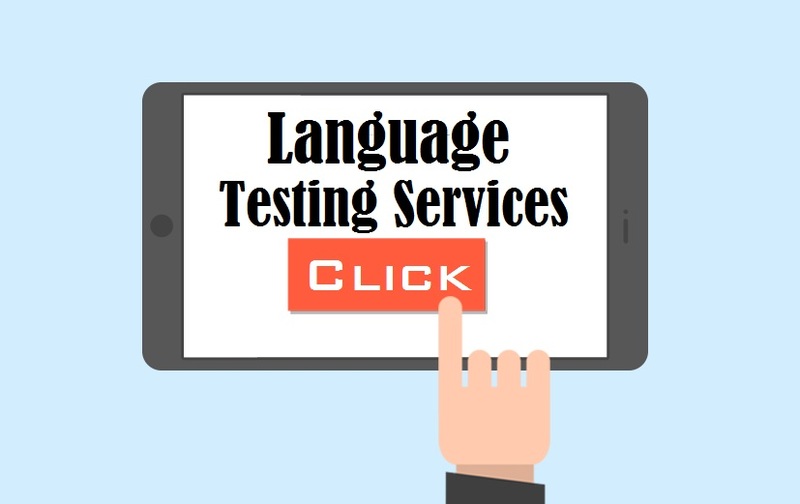 So, if you are searching for a reliable Language testing company in New Delhi India Mumbai UAE Amritsar Hyderabad Chennai Kolkata Chandigarh Bangalore and worldwide, you are at the right place. The language tests at TridIndia are specially designed by experts and are basically meant to help the organizations in the language skills evaluation of their employees or the job applicants. These tests evaluate or judge the basic skills, which include reading comprehension, translation knowledge, speaking and listening, writing proficiency and interpretation of the spoken language. Therefore, using these assessments, you would be able to hire or appoint talented multilingual personnel – customer service representatives, legal document reviewers, personal bankers, government linguists, physicians, flight attendants, nurse practitioners, sales representatives and other. Right from the Fortune 500s to various small and medium scale companies, all types of organizations outsource our services to evaluate the basic language skills of their candidates. Broadly speaking, these tests help to analyze the language skills of candidates, who get recruited for various profiles in the government sector. The purpose of these tests is to evaluate the language skills of medical interpreters, nurse practitioners, physicians and administrative staff. These tests are designed to evaluate the language skills of customer service providers (who operate in multiple languages) from varied business sectors, for example, call-centers, airlines, and other allied organizations. 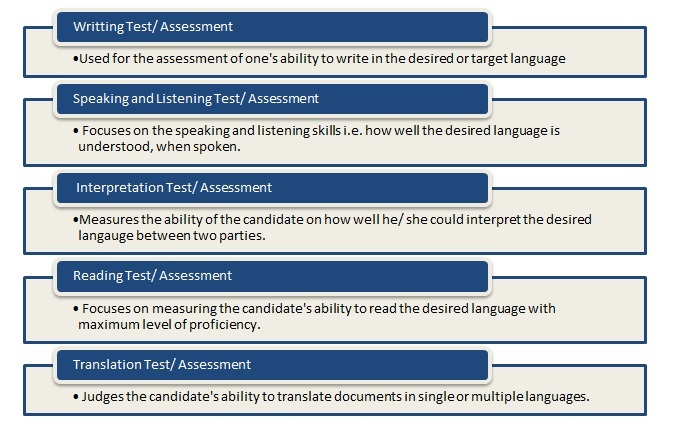 These assessments or tests are used to evaluate the language skills of different types of legal professionals, viz. administrative staff, legal document reviewers, interpreters and translators. All of such tests will help you meet your language requirements with utmost ease. 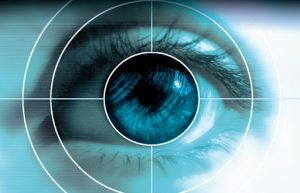 So, get in touch with our professional experts, who deliver quality and accurate results within the committed time frame.